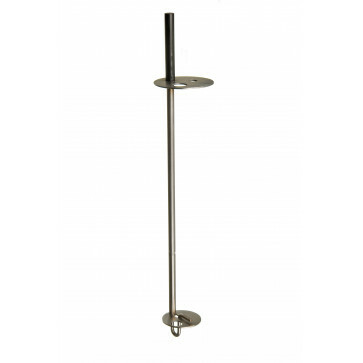 U-Tube Viscometer Holder Size O to F. Holder is suitable for use with BS-U Tube Viscometers. Easy to use with spring loaded clamp at the bottom. To change the tube, simply press slightly with one hand on the bottom, while holding the viscometer holder in the other hand. Fits a standard 50mm diameter aperture in viscometer bath lid.